At least 30 people have been killed and other 800 have been injured after a 6.3 magnitude earthquake struck Bushehr province in south-west Iran, officials say. Rescue teams have been sent to the affected area, but darkness is hampering rescue operations. 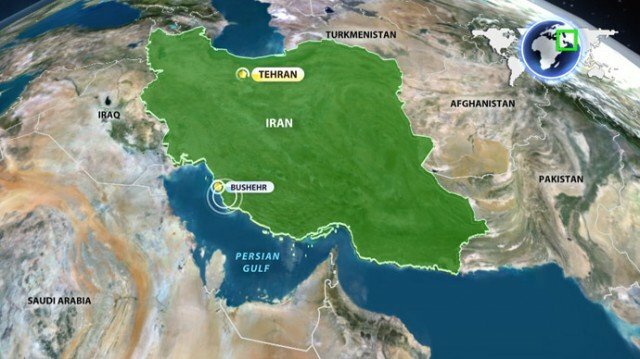 The quake struck 90 km (60 miles) south of Iran’s only nuclear power station in Bushehr, the US Geological Survey (USGS) says. However, the nuclear plant has not been affected and is working normally, officials have said. The quake was felt across the Gulf in Dubai, Abu Dhabi and Bahrain. Some 10,000 people are thought to live in the affected area in more than 50 villages, two of which have reportedly been completely leveled. The governor’s office has sent generators to the area so rescue operation can continue overnight. Seismologists said the quake struck at 16:22 local time at a depth of 10 km (6.2 miles) near the town of Kaki, south of Bushehr – a Gulf port city that is home to Iran’s first and only nuclear power plant. Iran’s seismological centre in Bushehr province, linked to Tehran University, registered the quake at a magnitude of 6.1. Tens of aftershocks – the strongest measuring a magnitude of 5.4 – struck within an hour, sending many people into the streets for safety. One resident in Bushehr told Reuters news agency that they could “clearly feel the earthquake” but there was no damage. State media reported that phone lines had been brought down by the quake and its aftershocks. The earthquake shook buildings across the Gulf. The governor of Bushehr, Fereydoun Hassanvand, told Iranian state TV that the nuclear plant was not damaged. An official with the Russian firm Atomstroyexport told Russian media that the quake “in no way affected the normal situation at the reactor”. “Personnel continue to work in the normal regime and radiation levels are fully within the norm,” the official was quoted by Russian state news agency Ria as saying. Iran’s nuclear programme has roused concern among major powers that Tehran wants to build nuclear weapons – a charge Iran strongly denies. Iran straddles a major geological fault line, making it prone to seismic activity. In 2003, an earthquake in the city of Bam left more than 25,000 people dead.